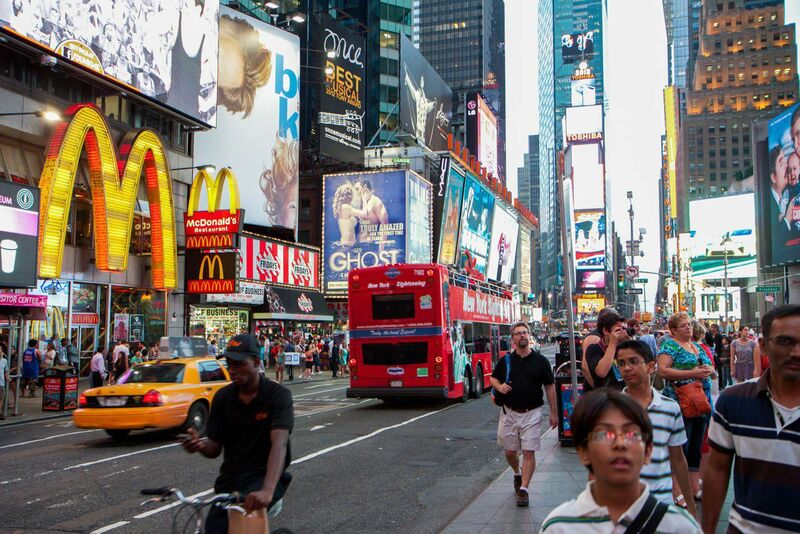 With 5 days in New York City, you can visit the icons of New York…the Statue of Liberty, the Empire State Building, Times Square, and Central Park…and also have enough time to explore different neighborhoods, try new foods, and see a Broadway show. 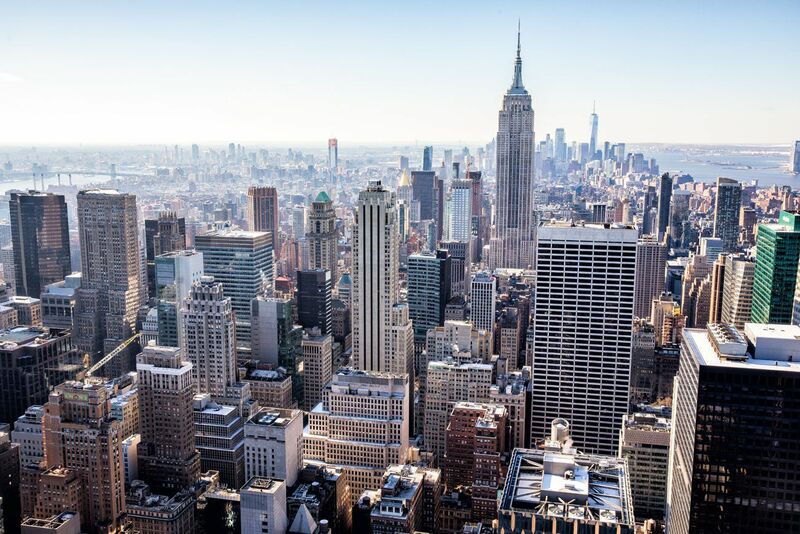 We put together this 5 day New York City itinerary to help you have the best experience here. 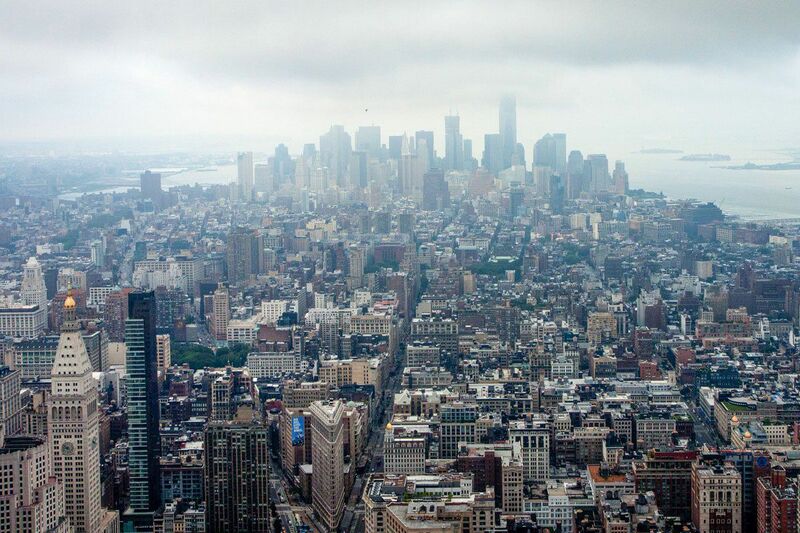 New York City is massive and the list of places to visit is long. We have been visiting New York City on a regular basis for the past 20 years. I went to graduate school in New Jersey and Tim and I would frequently day trip into the city. Since then, we try to visit New York City once a year, simply because we love this city. To me, New York feels more like home than Baltimore, the city where I was born and raised. In general, I grouped sites together based on their location in order to save you time walking and using public transportation. This will keep you from spending unnecessary time on the subway and from backtracking through the city. The provided walking distances are the amount of walking you will do to get between sites. These do not include the amount of walking you will do inside of museums, art galleries, etc. One World Trade Center is the sixth tallest building in the world and the tallest building in the western hemisphere. This skyscraper stands next to the footprints of the original World Trade Center buildings that were destroyed in the 9/11 terrorist attacks. 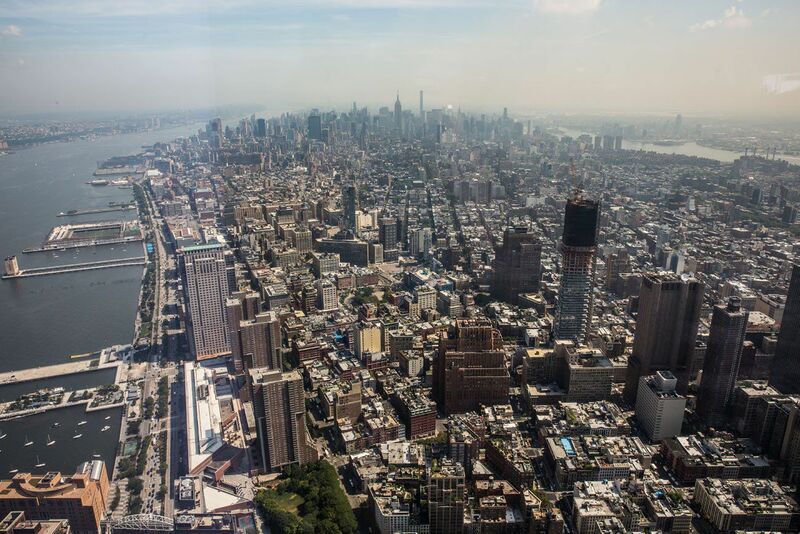 The One World Observatory is a great place to take in your first view of New York City. From here, you have awesome views of Manhattan, the Statue of Liberty, Brooklyn, Staten Island, and New Jersey. Plus, by being here early in the day, you get to beat the crowds and have a more pleasant experience. I recommend buying your tickets online in advance. Getting Here: One World Trade Center is accessed from the World Trade Center station on the E line, the Rector Street Station on Line 1, the Fulton Street on Lines 4 and 5, or the Cortland Street Station on Line R.
Visit the One World Observatory website for more information and to book your tickets in advance. 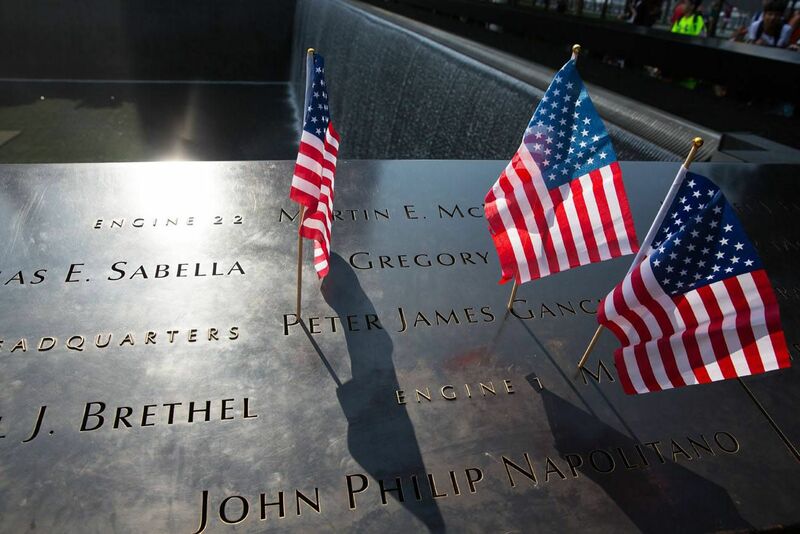 After your visit to the One World Observatory, spend some time at the 9/11 Memorial Plaza. 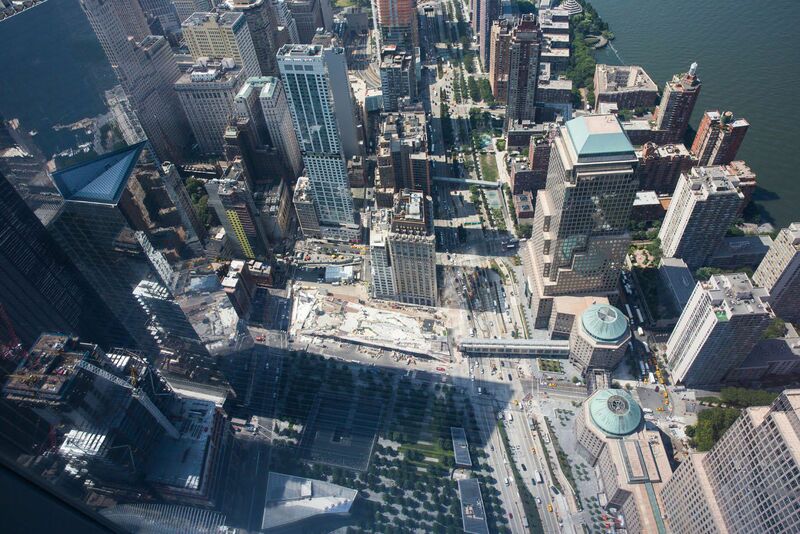 The 9/11 Memorial Plaza is an 8-acre park where the World Trade Center Twin Towers once stood. 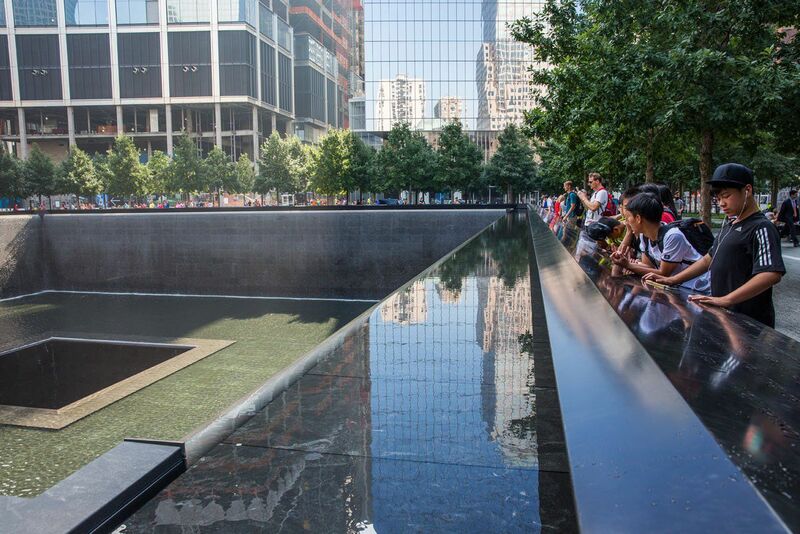 The foundations of the Twin Towers have been converted into reflecting pools and the surrounding area is now a grove of trees. At the 9/11 Memorial Museum, learn about the story of 9/11 through a series of exhibits, artifacts, and interactive technology. 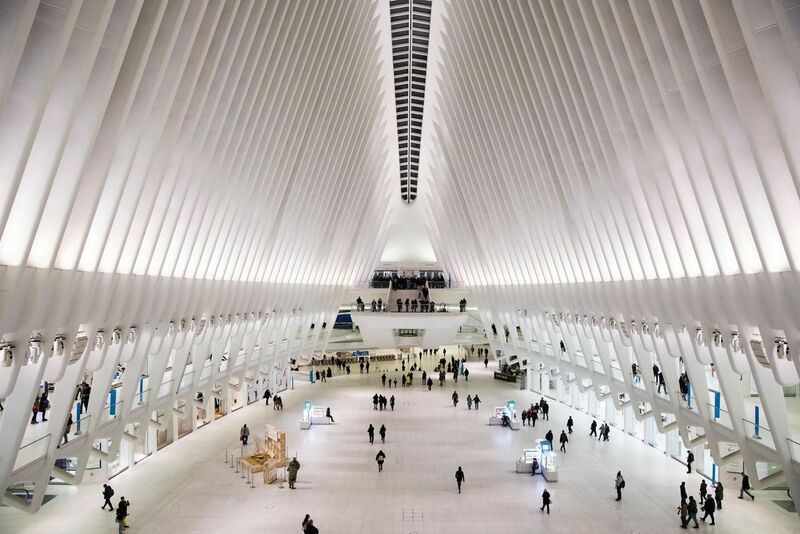 The Oculus, also called the World Trade Center Transportation Hub, is a brand new, state-of-the-art train station. It sits right around the corner from the World Trade Center. You know you are in the right spot when you see the brilliantly white, space-aged looking structure. The Oculus opened in March 2016. It connects the PATH (trains from Newark and Hoboken, New Jersey) to the New York City subway system. It is also a shopping mall and a place to grab a bite to eat. It’s worth a quick visit and it’s free! Two blocks from the Oculus is a great little Italian sandwich shop. This is popular lunch spot for locals and business people working in the area. These sandwiches are enormous and can be split between two people. 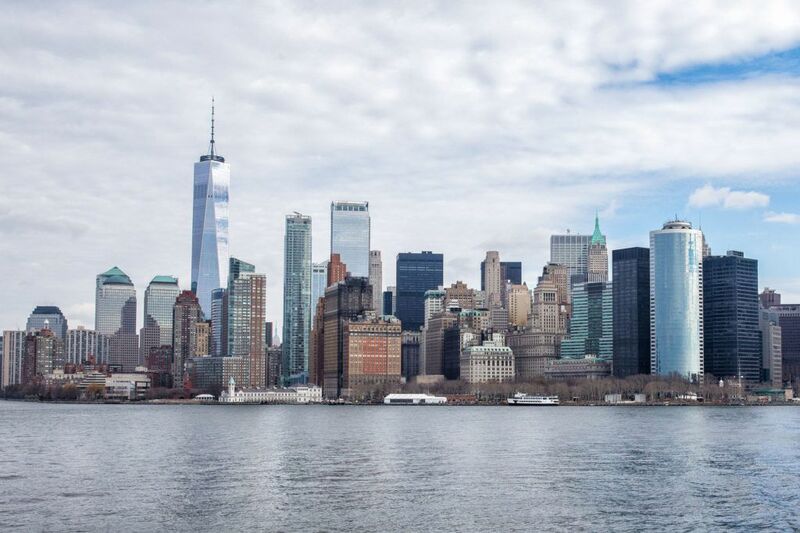 On your way to Battery Park, wander through the Financial District and take a stroll down Wall Street. A ride on the Staten Island Ferry is one of New York City’s best free things to do. During this ride, you have great views of the Statue of Liberty and the Manhattan Skyline. The ferry leaves from the Staten Island Ferry terminal, next to Battery Park. Simply get in line and board the next ferry. The ferry is enormous, with multiple decks and inside and outside seating. I recommend taking a seat outside on the back of the ferry. From this point you can watch Manhattan slowly recede as you approach Staten Island. To your left will be the Statue of Liberty. Ferries leave every 30 minutes and are more frequent during rush hour. A one-way trip takes about 25 minutes. You are not permitted to stay on the ferry and ride it round trip. Once you are in Staten Island, exit the ferry, get back in line, and re-board the ferry. We were able to get right back onto the same ferry without having to wait for the next one (on a Monday morning in February). The entire round trip ride takes about one hour. Get the full details about the Staten Island ferry on the official website. Spend the afternoon wandering and shopping here. To get to SoHo from the Staten Island Ferry Terminal using the subway, walk to the Whitehall Street Station. Take the R line four stations uptown to Prince Street. For dinner, we highly recommend Piccola Cucina Osteria. This tiny restaurant serves traditional Sicilian food. We have eaten in Little Italy many times but this restaurant is so much better than any place in Little Italy. The food is amazing. It’s a small place so I recommend making a reservation in advance. For dessert, you have two options in the area. Just across the street from Piccola Cucina Osteria is Dominique Ansel Bakery. This bakery has unique desserts…how about trying a cookie baked in the shape of a cup and filled with milk? Yum! 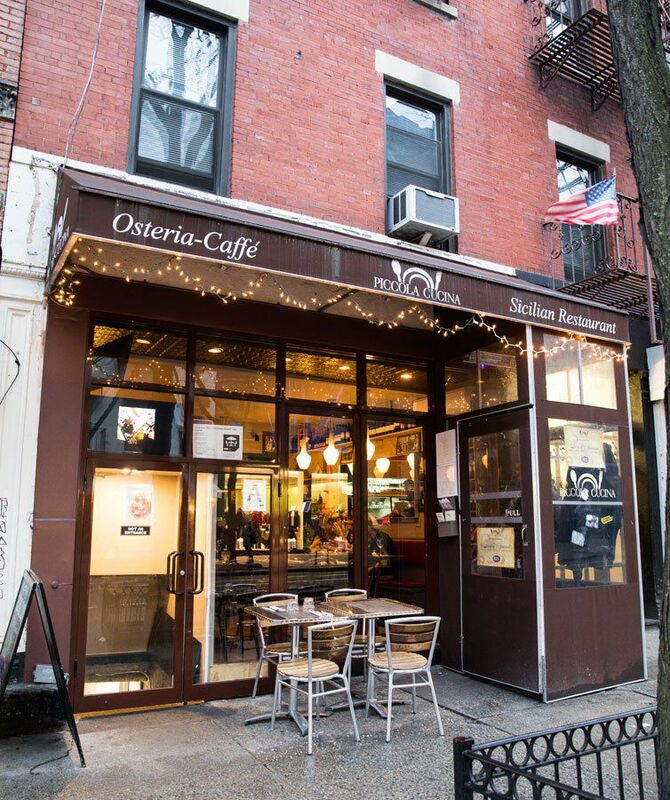 One block from Piccola Cucina Osteria is Black Tap, a restaurant that is legendary for its gigantic milkshakes topped with cookies, brownies, and even slices of pie. If you want to take a cool food photo on Instagram during your trip to NYC, this is a good place to put on your list. Expect to wait in line for at least 30 minutes. There are a bunch of fabulous art museums in Manhattan. Spend the morning in the one that sounds the most interesting to you. The Modern Museum of Art (MoMA) has one of the world’s best collections of art from the 18th century to today. See The Starry Night by Van Gogh, The Persistence of Memory by Dali, and works of art by Matisse, Monet, and Picasso. The Met is enormous. It’s so big that you can measure the size of this museum in acres (13 acres!!). Come see one of the best collections of ancient art from all around the world. This is another modern art museum. The building, which was designed by Frank Lloyd Wright, is also a work of modern art. Pay What You Wish: from 5:00 pm – 8:00 pm on Saturday you can “pay what you wish” to enter the museum. The suggested admission is $10. See world-class art by Vermeer, Renoir, and Rembrandt in a beautifully designed residence. Patsy’s Italian Restaurant: This family-owned restaurant has been in business since 1944. Frank Sinatra made this place famous and many other celebrities have dined here, including Ben Stiller, Tom Hanks, Oprah Winfrey, James Gandolfini, and many more. I recommend the Eggplant Parmesan (it was the best I ever had!). 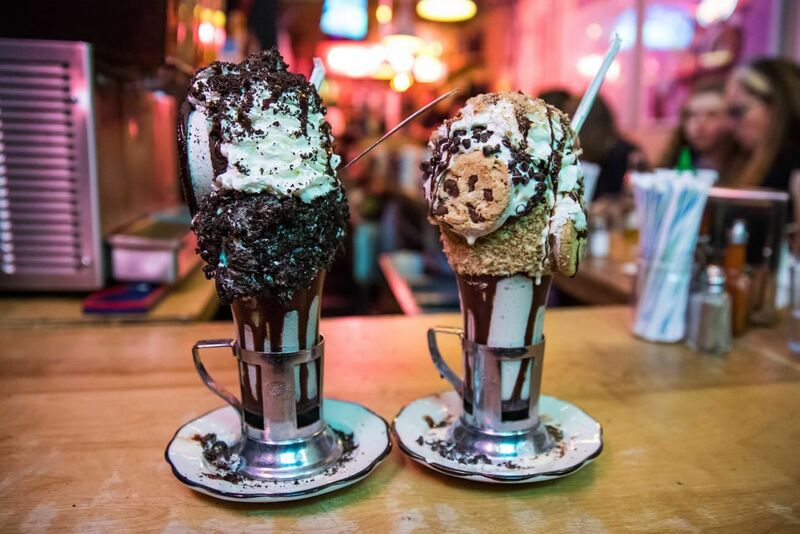 The Black Tap: This restaurant serves craft burgers and beer but it’s famous for its over-the-top milkshakes topped with brownies, cookies, and slices of cake and pie (mentioned under Day 1 as a dessert destination near SoHo). If you picked one of the other art museums, explore the area around the museum for lunch spots. I read somewhere recently that Central Park is the most visited tourist attraction in the world. 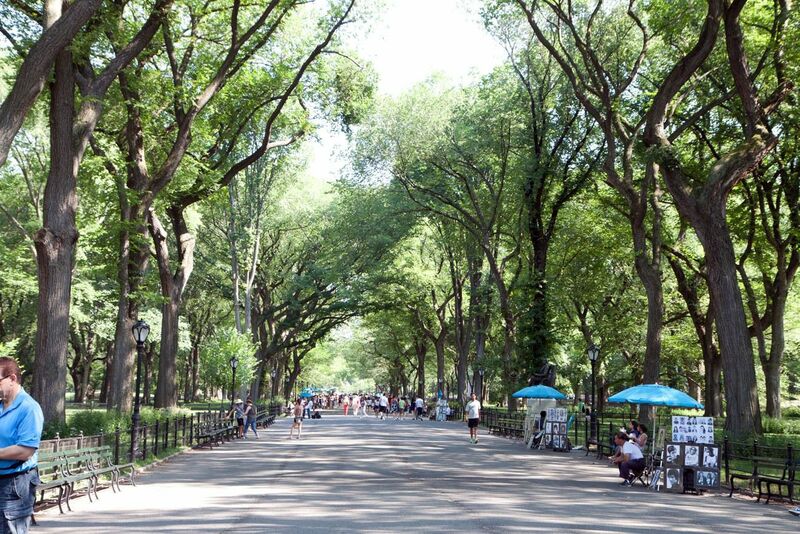 Therefore a visit to New York City would not be complete without at least a quick stroll through part of the park. Central Park is much more than a tourist destination. For New Yorkers, this is a treasured green space, a spot to lie out in the sun, go for a run, and take the kids to the playground. Spend part of the afternoon exploring Central Park. 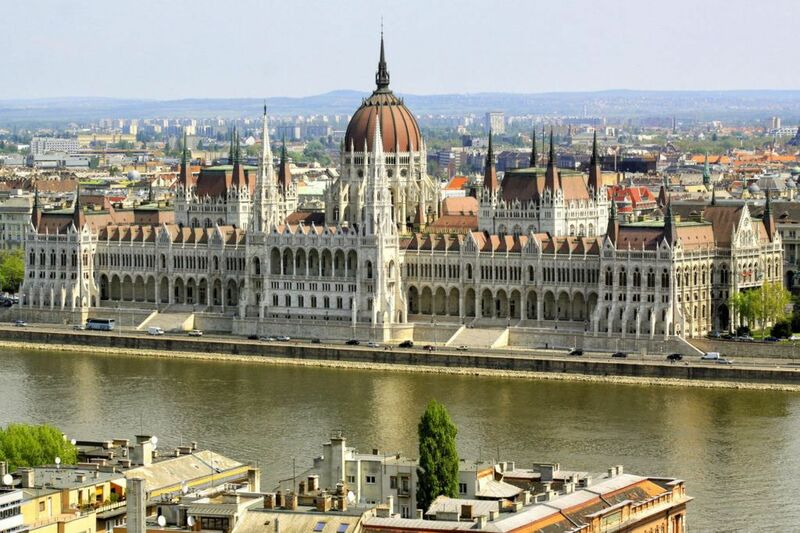 You can simply wander through it on your own two feet, rent bikes and cycle a lap or two through the entire park, or do something very touristy and go for a horse and buggy ride. There are numerous places to rent bikes just outside of the park. We have the best luck one block south of the park around 5th and 6th avenue. 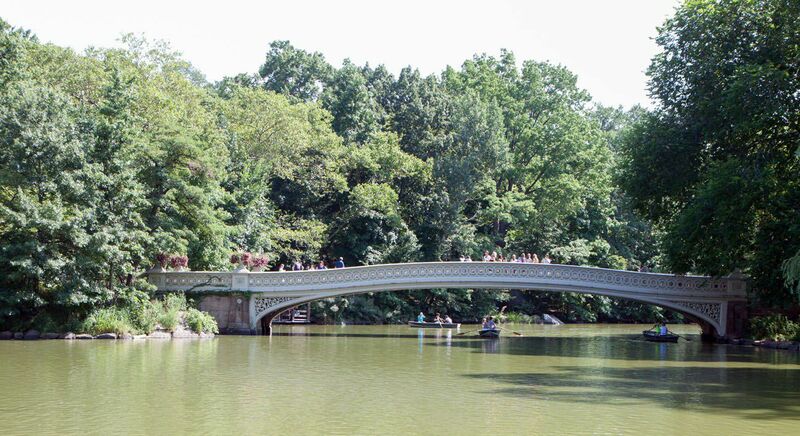 Notable spots to visit in Central Park are the Imagine Mosaic at Strawberry Fields, Bow Bridge (one of the most photographed locations in the park), Belvedere Castle, Sheep Meadow, and The Mall. For the rest of the afternoon, stroll through midtown Manhattan. From Central Park, pop into The Plaza, one of the most famous hotels in the world. 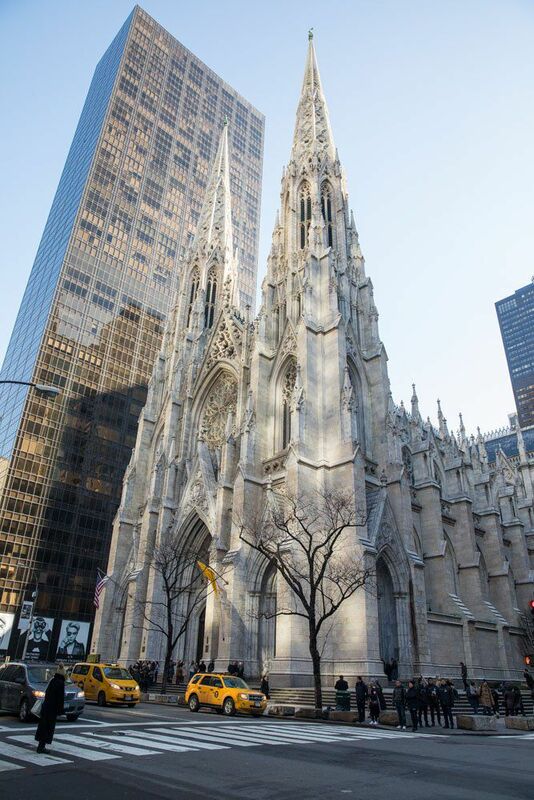 Then stroll down Fifth Avenue until you get to St. Patrick’s Cathedral. Across the street is Rockefeller Center. For another awesome view over the city, consider a visit to Top of the Rock, an observation deck on top of Rockefeller Center. In my opinion, you get one of the best views of New York City from this observation deck. To the north you see Central Park, Harlem, and the Bronx. To the south, you not only get to see the Empire State Building, but you also get to see the towering skyscrapers of the financial district (and One World Trade Center) off in the distance. Travel Tip: If you come back at twilight, this would be a magical spot to watch the sunset over New York City. Tickets are an additional $5 at sunset. While in the area, you can also take a tour of Rockefeller Center and Radio City Music Hall. Just note, if you do choose to take a tour, you will have to skip most of the activities planned this afternoon. From Rockefeller Center, it’s just a five-minute walk to iconic, crowded, chaotic, touristy Times Square. This is one of the most famous intersections in the world. Every New Year’s Eve, thousands people gather to watch the ball drop, making this the most famous place in the world to welcome in the New Year. 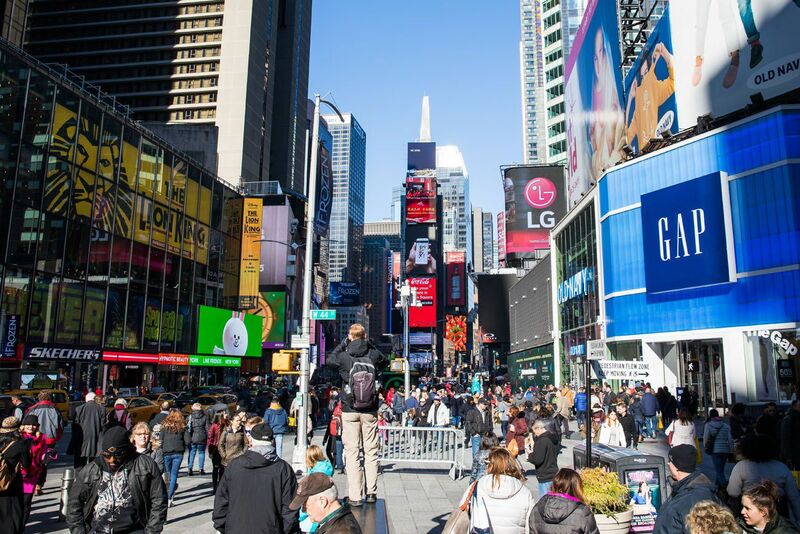 During the other 364 days of the year, Times Square is almost as crowded, as street performers put on shows and visitors from around the world gawk at the millions of lights that adorn the neon billboards. It seems like Times Square is always changing. Every year, there are bigger and better billboards, new stores designed to draw visitors in, and crazier street performers on the streets. It is a crowded, overwhelming place and not everyone enjoys this experience. Take as long (or as little) as you like in this dazzling, gaudy place. Pro Travel Tip: If this is your first time in New York City, it’s worth seeing Times Square in the daytime and at nighttime. It really is neat to see all lit up at night. 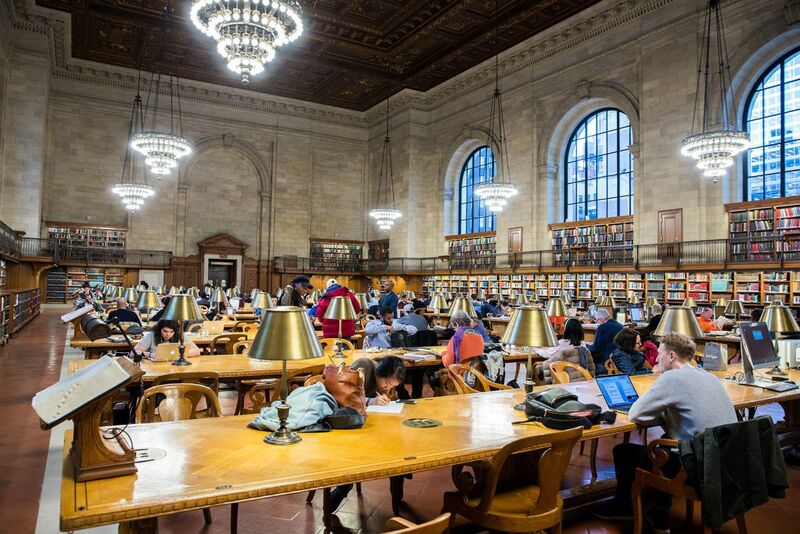 A few blocks from the library is Grand Central Station. 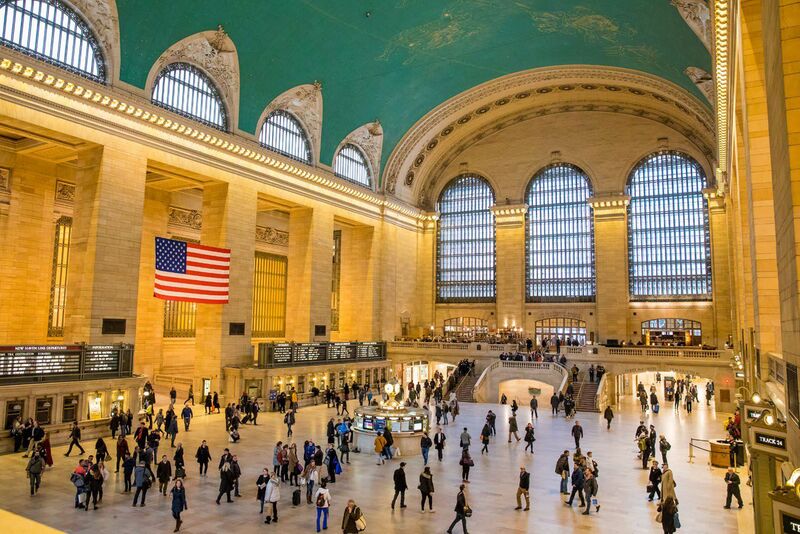 This is the largest train station in the world, with 44 train platforms. The Grand Concourse is a gorgeous spot to visit. Walk up the steps to the Apple Store and watch the show as hundreds of people crisscross the Grand Concourse. Inside of Grand Central Station is the Grand Central Market. This is a small market but it is a great place to put together a meal. With fresh fruits, pastas, cheese, and wine, you have the option to assemble a picnic dinner here. End the day with dinner and drinks. If you like the idea of Japanese food, consider going to Momosan Ramen & Sake, just a few blocks from Grand Central Station. If it’s your first time in New York, the Statue of Liberty is a must see. You can visit just the Statue of Liberty or you can visit the Statue of Liberty and Ellis Island together as a round trip excursion from Manhattan. At the Statue of Liberty, you can climb the base of the statue or go all of the way to the crown. Both of these options require advance tickets, and they do sell out, so make sure you book your tickets well in advance. Ellis Island was an immigrant inspection station and approximately 12 million immigrants were processed here between 1905 and 1954. Liberty Island (the location of the Statue of Liberty) and Ellis Island are connected by ferry with Battery Park. 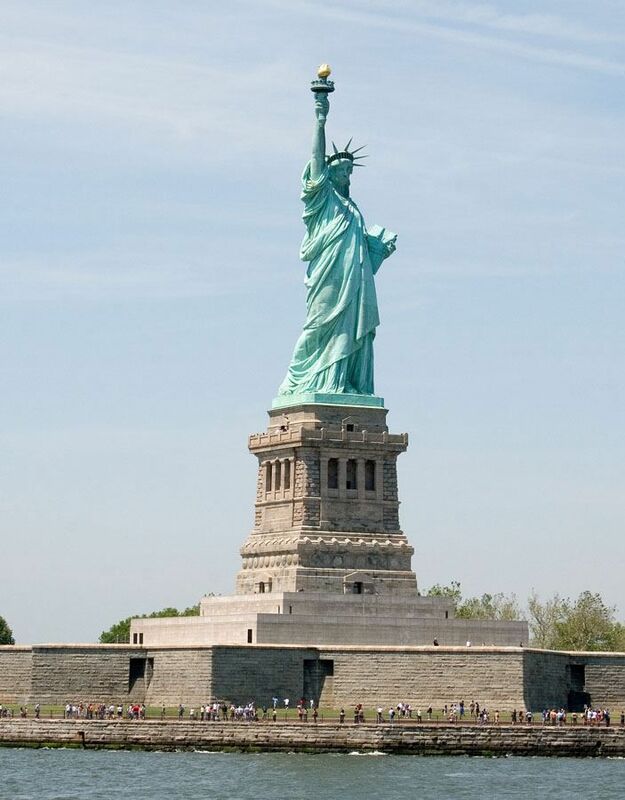 Statue Cruises is the only authorized provider of tickets and tours to the Statue of Liberty and Ellis Island. Do not purchase your ticket from any other vendor because this is a scam. The entire visit, from Battery Park to Liberty Island and Ellis Island, and then back to Battery Park, takes about 4 hours. You will take a ferry from Battery Park to Liberty Island. After seeing the Statue of Liberty, catch the next ferry to Ellis Island and tour this island. Then take a ferry back to Battery Park. Pro Travel Tip: Tickets tend to sell out in advance. As soon as you know your travel dates, consider booking your Statue of Libery tickets. Now that you learned about what it was like to be an immigrant arriving in the United States, continue the experience with a visit to the Tenement Museum. Located on the Lower East Side, learn about what it was like to live as an immigrant between the 19th and 21st centuries. Numerous tours are offered. Visit the Tenement Museum website for full details. To get to the Tenement Museum from Battery Park, walk to the Broad Street station and take line J uptown four stations to Delancey St/Essex St (8 minutes). 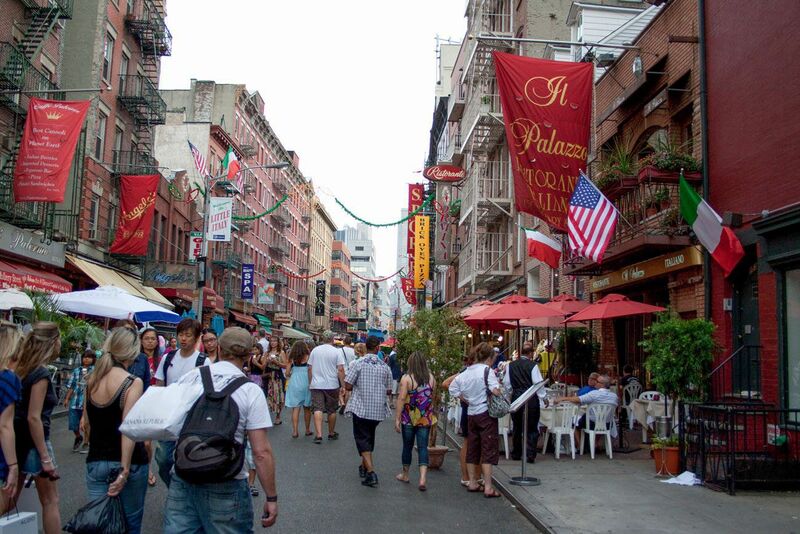 Little Italy and Chinatown are places that are frequently listed in guidebooks. For years, we loved spending an afternoon wandering through Chinatown or dining at a restaurant in Little Italy. However, in recent years, things have changed. Now, most of the restaurants in Little Italy are mediocre, overpriced restaurants that are well worth skipping. On our most recent visit to New York, Tim and I stopped into one of these restaurants for a drink and even the wine was mediocre. If you are curious about Little Italy and Chinatown, they are still worth a quick visit. But you should know that there are much better places in New York for quality Italian and Chinese food. 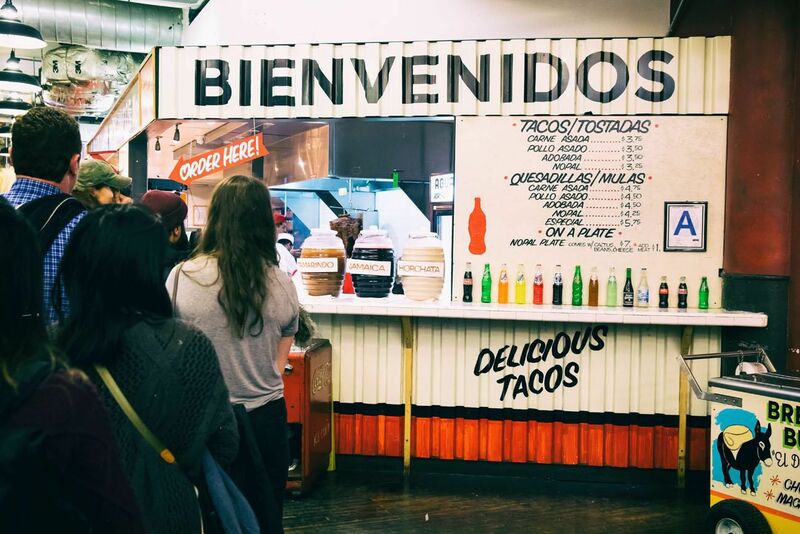 A better way to spend the afternoon is to take a food tour in Manhattan. We have not done this, but it is high on our list to do on our next visit to New York City. From my research, Foods of NY Tours is on my list to try. They offer various tours in Manhattan and Brooklyn. 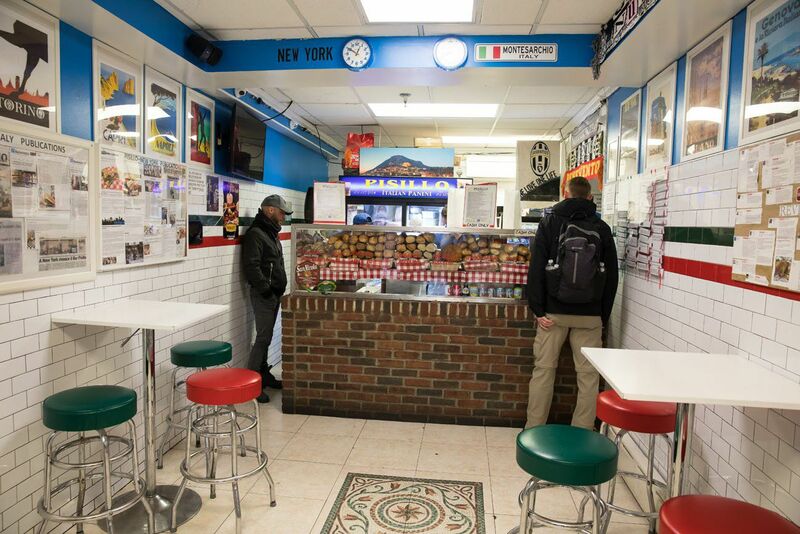 Consider taking their Nolita & Little Italy’s Secret Tour or the Flavors of Chinatown. Just make sure you book your tickets in advance because they do sell out! 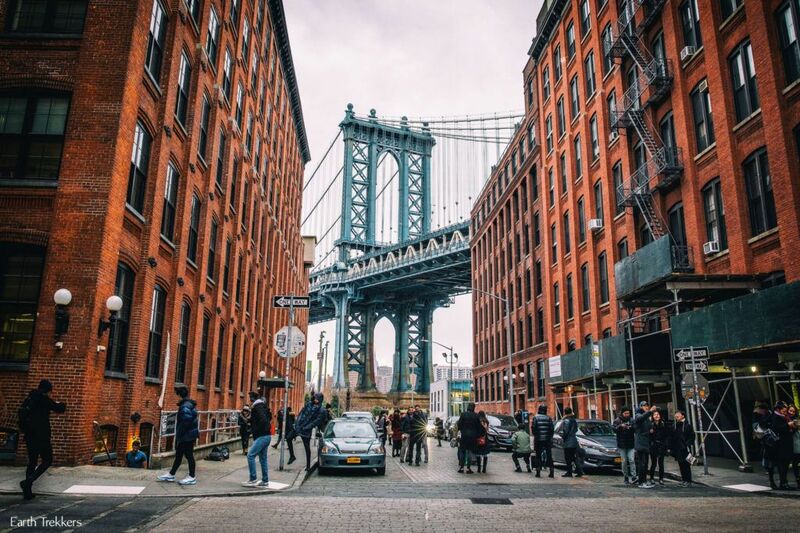 Brooklyn is becoming one of New York City’s hot spots to visit. 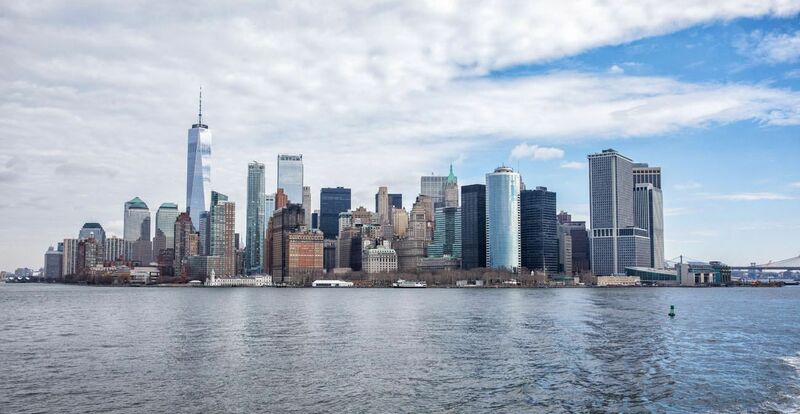 With historic neighborhoods, a fabulous food scene, and some of the best views of the Manhattan skyline, this is a great place to add to your New York City itinerary. Since Brooklyn is so large, it’s impossible to visit all of it in just one day. With just one day you can visit the neighborhood of Williamsburg and the areas along the East River. Think of today as a mini food tour combined with some of the best views of Manhattan and the Brooklyn Bridge. 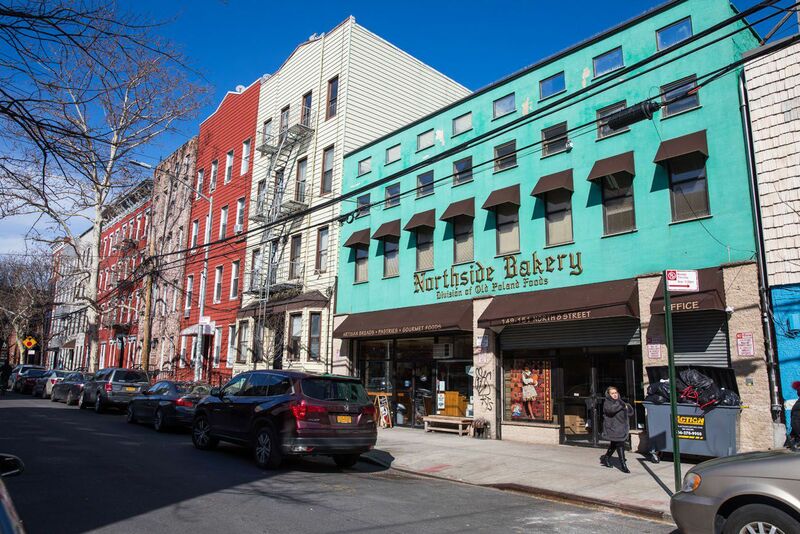 The day starts in Williamsburg, a wonderful neighborhood with boutique shops, a variety of restaurants, and the Brooklyn Brewery. 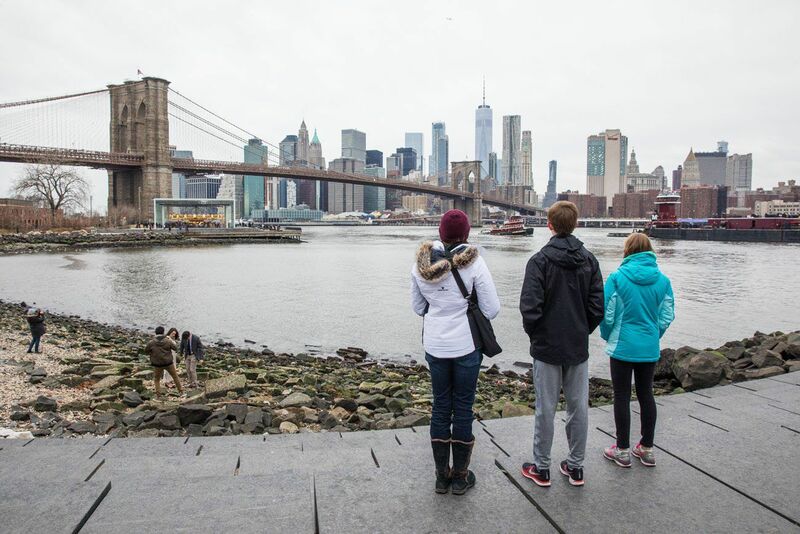 Then, take a ferry on the East River to Dumbo and the Brooklyn Bridge. 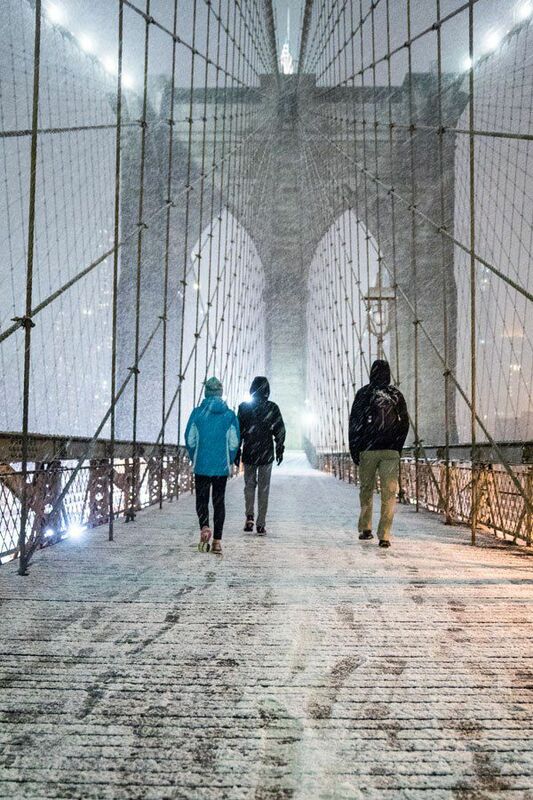 From here, enjoy one of the best views of the Manhattan skyline, dine on the best pizza in the city, and end with a walk over the iconic Brooklyn Bridge. Pro Travel Tip: This Brooklyn day trip works best on a Saturday or Sunday. Both Brooklyn Bowl and the Brooklyn Brewery open midday on the weekend, versus 6 pm during the weekdays. Plus, midtown Manhattan and the popular touristy sites in New York can be very crowded on the weekends, so Brooklyn makes a nice escape from the crowds. 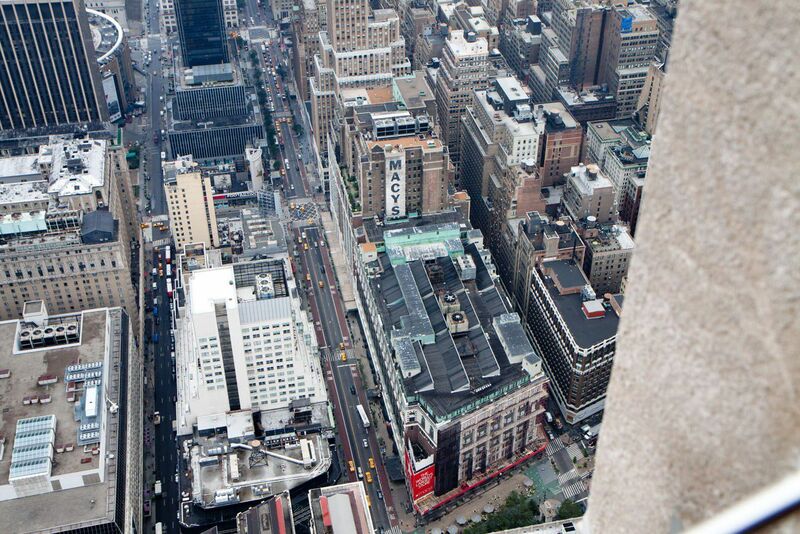 Start the day with a trip up the Empire State Building. Completed in 1931, this was the tallest building in the world for 40 years until the North Tower of the World Trade Center was completed in 1970. The Empire State Building has been featured in over 250 TV shows and movies and is listed as one of the Seven Wonders of the Modern World. For the best experience, don’t visit the Empire State Building during cloudy, foggy weather or you will have a view like this. If you don’t mind waking up early, you can watch the sunrise from the top of the Empire State Building. Tickets are limited to 100 visitors and need to be purchased in advance. It’s pricey, costing $100 per person, and tickets are only available for Friday and Saturday mornings. 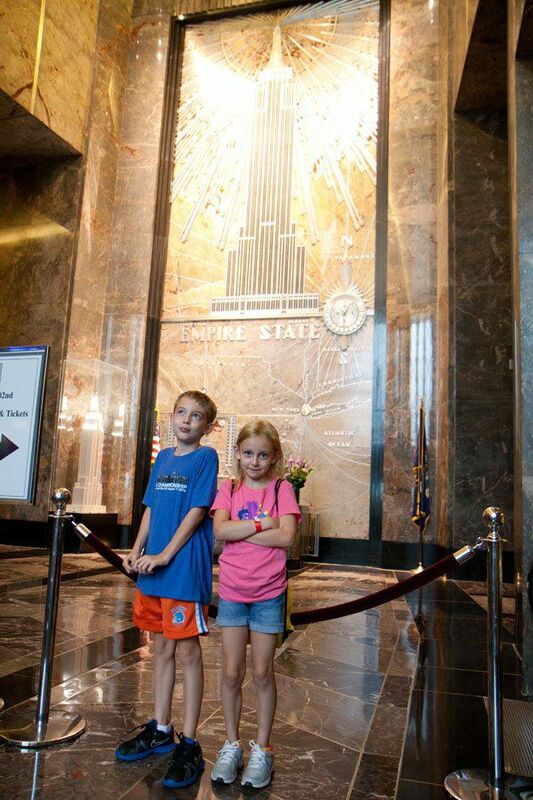 Website: Get the full details on packages and VIP experiences on the official Empire State Building website. 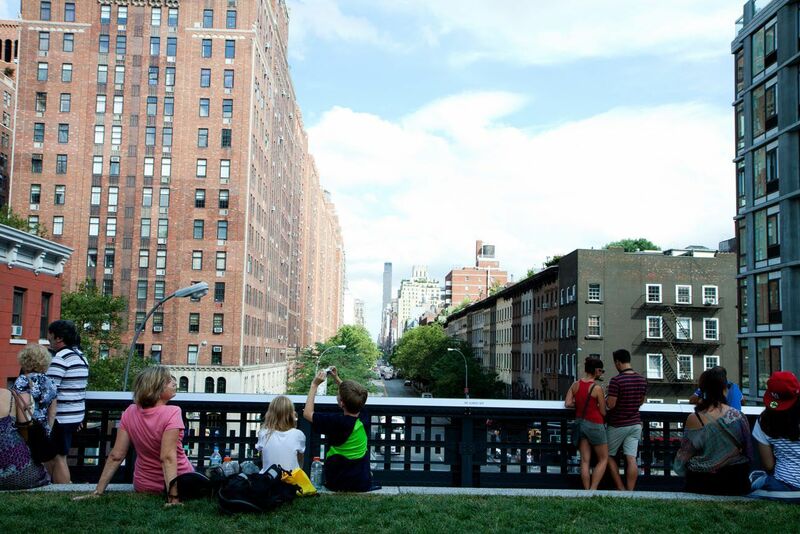 Spend the rest of the morning strolling along the High Line, a public park that was built on a historic freight line. To get from the Empire State Building to the High Line by subway, walk to the Herald Square station. Take the D line (the 6 Avenue Express) downtown. Change trains at W 4 St – Washington Square. Take the E line (8 Avenue Local) uptown to the 23 St Station. Journey time 12 minutes. The Chelsea Market is food paradise!! We just visited this market for the first time and let me tell you, this is going to become one of our regular spots to visit in Manhattan. Inside of the market are numerous small restaurants selling food from around the world. There are also a number of boutique shops if you like to go shopping. We ate at Los Tacos No. 1 and we had some of the best tacos, ever. It’s worth the wait in line. One block away from Chelsea Market is the Ground Zero Museum Workshop. This museum documents what life was like for the workers and firefighters at Ground Zero during the recovery effort. Filled with artifacts and photographs, this is a great museum to visit if you want to learn more about what it was like to be at the World Trade Center site after the terrorist attack. This is a kid-friendly museum and if you want your child to learn about the 9/11 terrorist attacks, this museum is the perfect place to take them. Spend the rest of the day exploring Chelsea and “the Village.” Greenwich Village was the location of the 60’s counterculture movements and the modern LGBT movement. Now, the “bohemian days” are long gone, due to rising housing costs and gentrification of the neighborhood, but this is still a wonderful spot to visit. 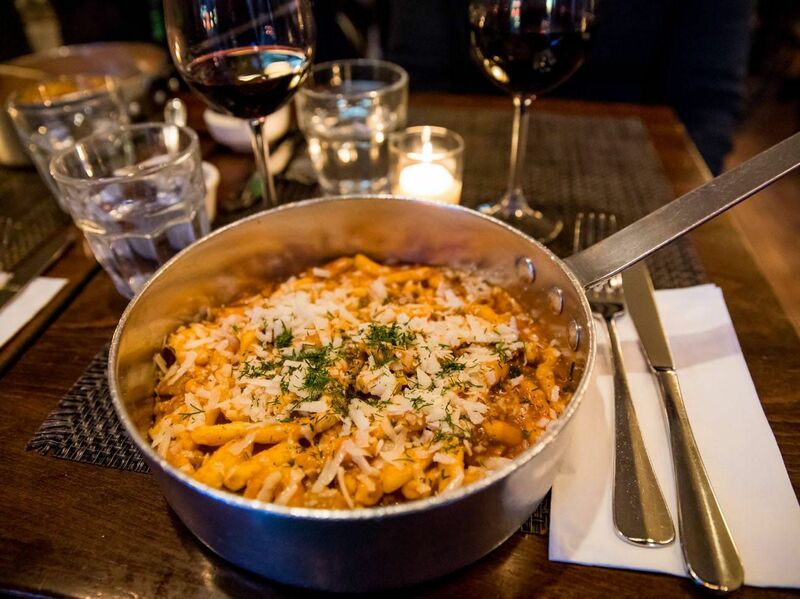 Wander the streets and take your pick among a long list of great restaurants for dinner. Take a look at this post for ideas. We ate at Olio e Piu, which was a decent Italian restaurant. Seeing a show on Broadway is a quintessential New York experience. You can book your tickets in advance, or buy them the same day through TKTS in Times Square. Learn more here. The New York City Marathon is an awesome thing to add to your bucket list if you are a runner. In one day you will tour all five boroughs of New York, ending in Central Park. Afterwards, you get to eat all of the pizza and gelato and crazy sundaes at Black Tap you want. Tim and I did this in 1997. Should You Buy a New York City Pass? There are a bunch of different “money saving” passes to choose from. Offering advice on the right one would take another blog post. I recommend reading this if you want to learn more about all of the different passes that are available. 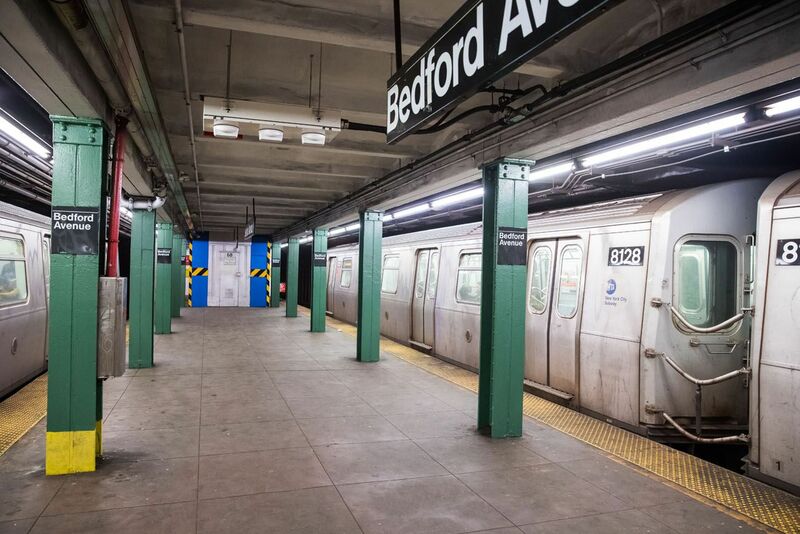 To get around New York City, we recommend using the Subway. The New York City Subway is functional but it is dirty, smelly, and in great need of renovation work. It may not be pretty but it will get you where you need to go cheaply and efficiently. I recommend downloading the NYC Subway app on your smartphone (it’s free!). This is the app I use to find routes between destinations. I also recommend purchasing a 7 Day Unlimited Ride Metrocard. It costs $32 and you can ride the subway an unlimited number of times in seven days (there is not a 5 day unlimited ride Metrocard). It costs $2.75 per ride on the metro. If you ride the metro 12 or more times (which you will do on this itinerary) the card pays for itself. There are literally hundreds of places to choose from in New York City. On our most recent visit, we stayed at the Intercontinental New York Barclay, located in midtown a few blocks north of Grand Central Station. This is a nicer property than where we normally stay but they were offering a special price during our visit. 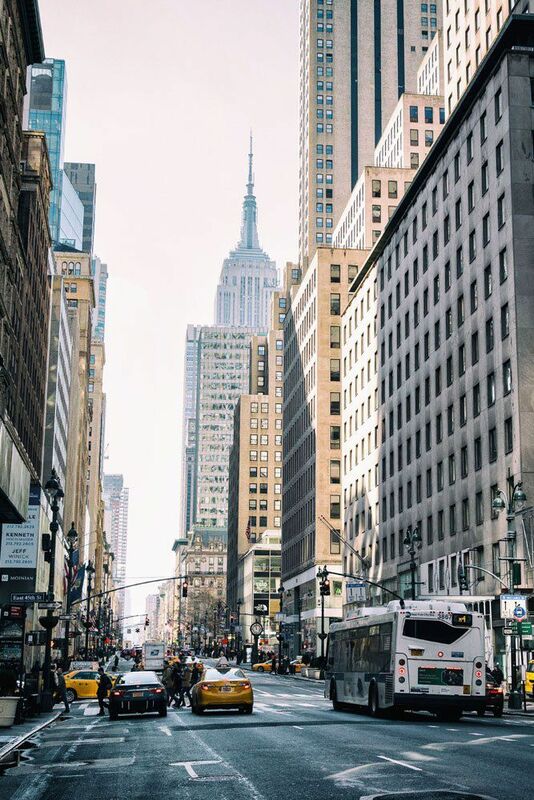 It is a great hotel and in a very convenient location, being near Grand Central Station and within walking distance of many of the main sites in midtown. For more recommendations, take a look at our article Where to Stay in New York City: Best Hotels and Neighborhoods for Your Budget. Get an overview of New York City’s most popular neighborhoods with recommendations on where to stay in each of them. 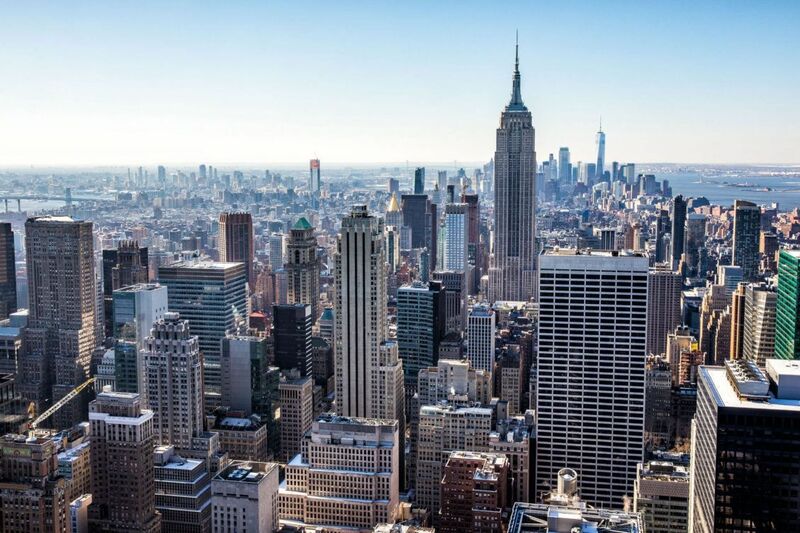 If you have any questions about visiting New York City or want to share your experience here, comment below! Planning a trip in the United States? Read all of our articles in our United States Destination Guide. Hi. I just found this awesome website. Thank you ! Have you done The Accomplice in New York? Also, why do you recommend the sightseeing pass over the CityPass? We are in our 50’s with no kids and heading to NYC in early August for 5 days. Thank you for this itinerary. I enjoyed reading it and it will be helpful for our upcoming trip to NY with my family in May . Thank you for all the minute details and sharing your experience. This itinerary is really good, but dust my family were wondering about shopping. Are there good malls we can visit whilst in New York? This is so incredibly helpful. We are in the midst of planning a Feb NYC trip with a 12 and 14 yo and your recommendations and especially daily trip details are wonderful. I feel like you and your blog are my personal travel guide! So lucky to have found your travel website. Thank you so much! Absolutely loved this post, Julie. 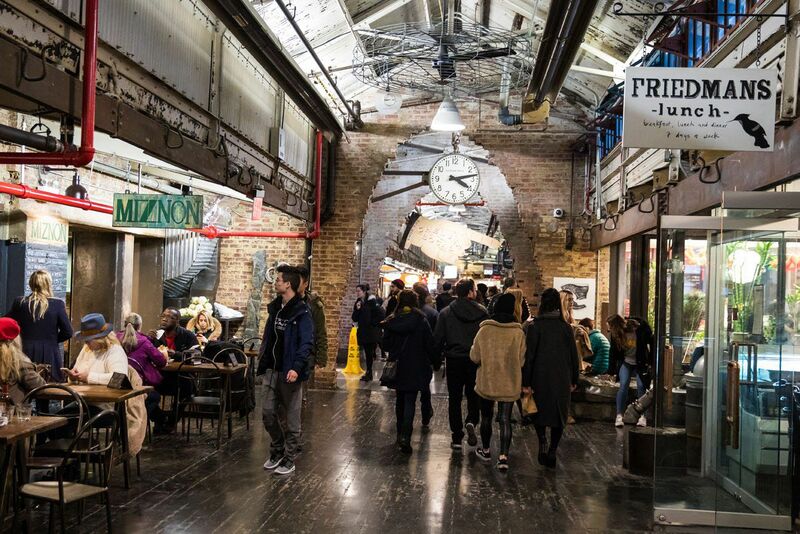 I agree, the Chelsea Market is food paradise, full of small restaurants selling food from around the world. Another fun activity to try in NYC is escape room games. They can be very entertaining and give you an adrenalin rush too. These rooms are uniquely and creatively designed by engineers, designers and mathematicians to challenge your intellect and test your perception via clues, patterns and puzzles. Escape room games offer an immersive and interactive experience with complex narratives, woven together with intricate puzzles.